Your Mind is code cracking device. No matter how scrambled the given words are, but your mind will be able to read it. It does not matter if the full word is incorrectly spelled. If the first and last letters of the word are correct then our mind will be able to fill the gap between these letters with prior knowledge of the word and you will be able to read that word correctly even without thinking about it. Lets test if you your mind is strong enough to read the twisted paragraphs. Here are some of the written paragraphs which you mind will be able to read. Not only your mind can read encrypted text but also your mind is very powerful and trained to take many different reading challenges like reading the backward text, where one has to read backward. It can also read if the text is blurred. Also reading upside down text will not pose much challenge to our mind. However the most challenge and mind twisting task in reading challenge, I found is reading upside down and backward. Do try all these reading challenges which are there on this website and leave your feedback in the comments section. Do share it with your friends in case you are able to read these without any problem. If you liked this, try reading Encrypted Text Quotes. Here is the another similar one. 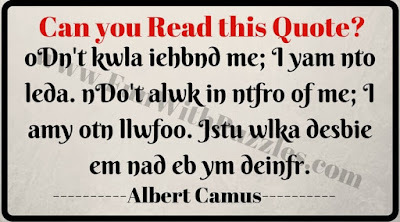 In this paragraph even the first and last letters of the words are not in place and still you mind will be able to read it without any problem!!! If you were able to read this scrambled spelling words challenge, try more such reading challenges to read encrypted text. In the previous two reading challenges, text of the paragraph was scramble which gave challenge to our brain. However in the next one text of the paragraph is not scramble but some of the letters of the word are replaced with numbers. However you will be surprised that our brain is so powerful that it will be able to read it without any problem. Lets try it out. 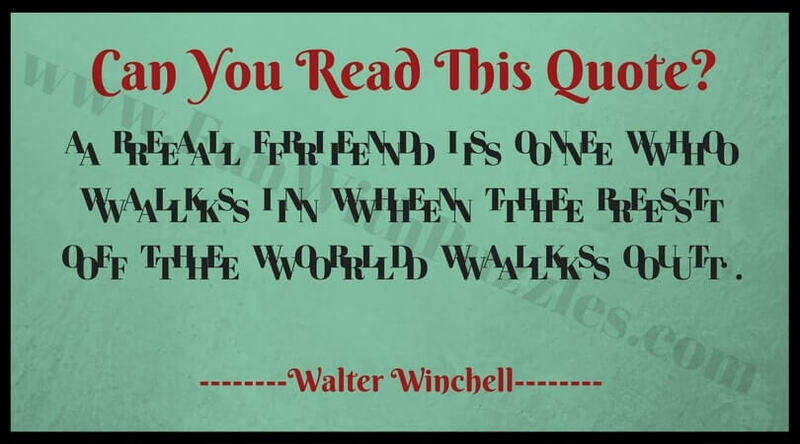 If you are read this try out more such puzzles which are published with title "Clever Reading Brain Teasers" and "Eye Yoga Mind Twisters Reading Challenge Brain Teasers". The next one is backward reading. If your mind is able to read the previous three paragraphs then you should not have any problem reading this paragraph too. 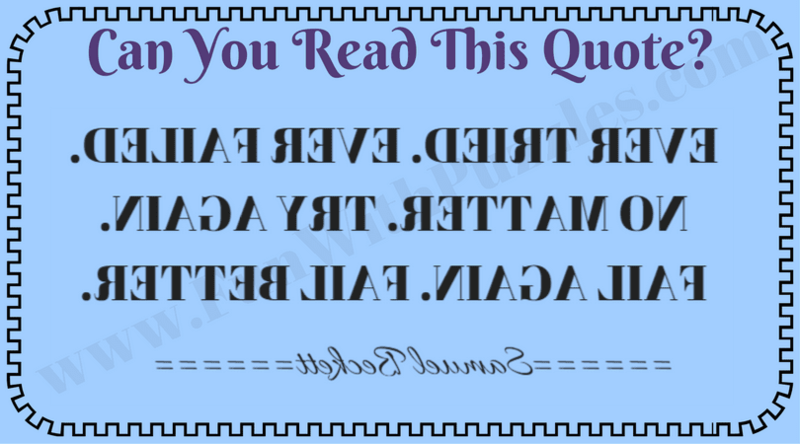 This riddle will test if your mind can read backward? 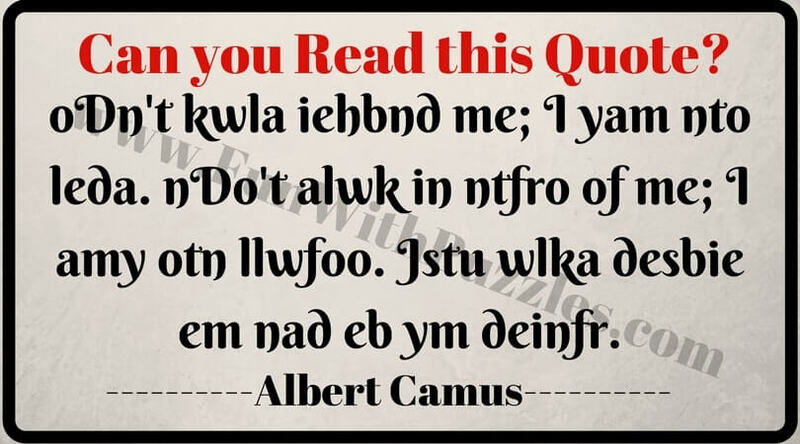 If you could read it effortlessly, try reading these backward text quotes by famous people. If your brain is able to read the backward text, then its time to make the challenge tough. 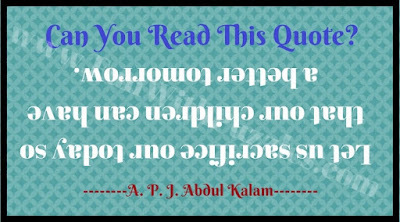 Here is the reading challenge in which one has to read backward and upside-down. 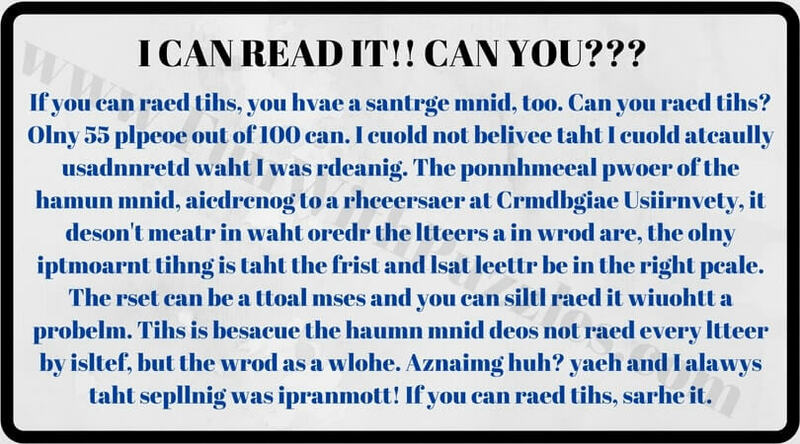 Can you read this? 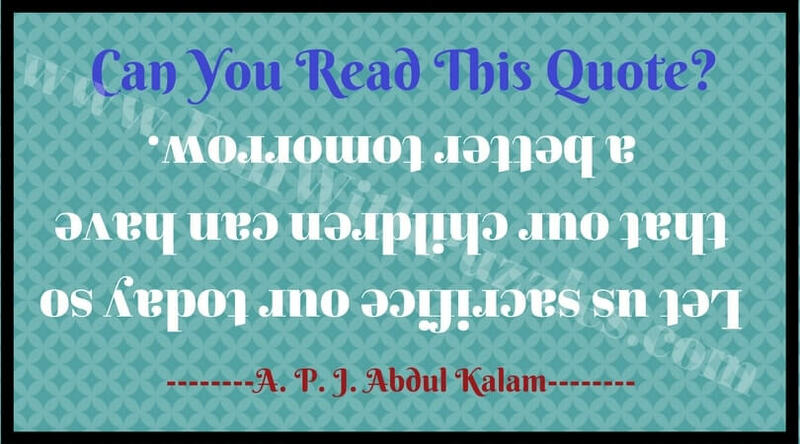 If you able to read it easily then try out similar upside down reading challenges and check if your mind is good enough to read all these reading challenges. Next challenges are little different reading challenges than the one which you have tried till now. 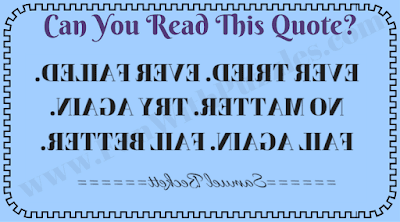 Next one is easier to read challenge in which text is make double to confuse your brain. Lets see if you can take this double vision reading challenge? 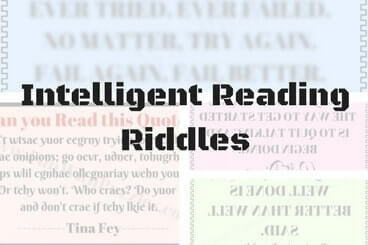 Most of the people will find this double vision reading challenge easy. 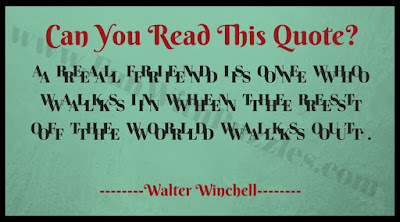 However if you want to read some tough double vision challenges then try out this challenge at page titled "Puzzle Quote Sentences that tricks mind". Next reading challenge is very tricky one. In this challenge one has to read through the page and has to find out the hidden number in the picture. 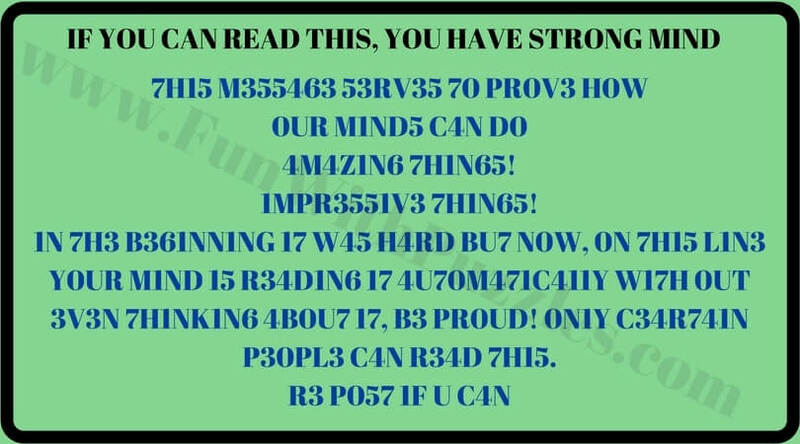 Lets see if you can read this hidden number? 7. What number do you see? 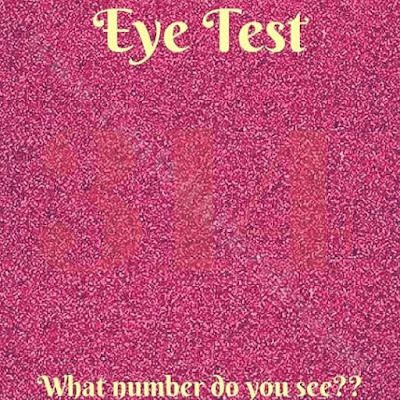 One should try out more such reading the hidden number challenges at the page titled "Eye Test-What Number do you See?". Moreover one can also try the visual challenges "Can you find the hidden faces?" in which one has to find the hidden person the given pictures. 1. Picture Puzzles for Teens With Answers: Do checkout fun Picture Puzzles to twist you mind. 2. The Brain Wiring Test for Kids, Teens and Adults with Answers: How is your brain wired? Do give this brain wiring test to check your IQ. 3. 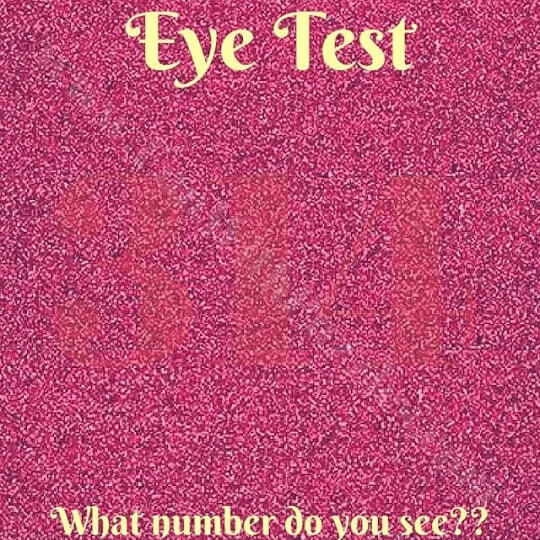 Eye Test-What Number do you See? : Do you have good eye sight? or Is your observational power very good? Do try to find out hidden numbers in these picture puzzles. 4. Next Number In The Sequence Puzzles for Kids with answers: These are very easy sequence puzzles for kids in which your challenge is to find next number in the given series of numbers.